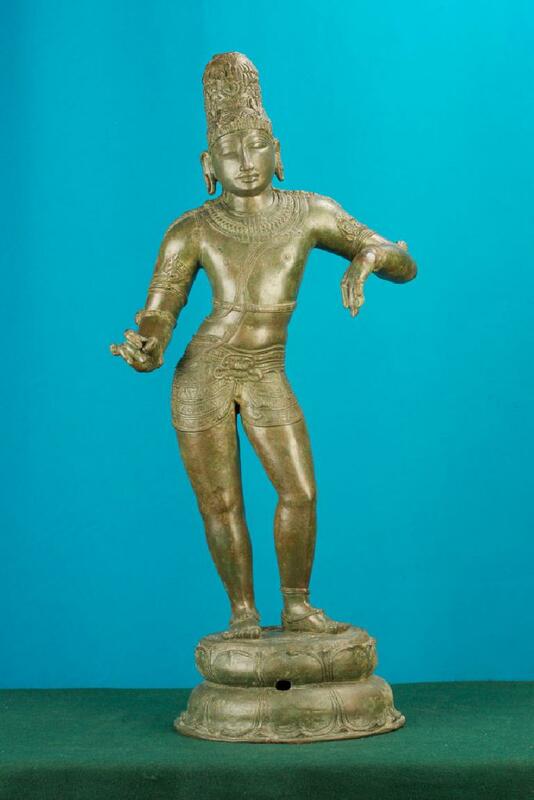 A graceful piece of Rajagopala Murthi in dwibhanga pose. The exhibit has two hands of which the right hand holds as if a whip. The Sreevalsa mark is visible on the left chest.